Our clients are passionate about what they produce and value quality design. Identifying with their passions, we approach each project creatively to bring a unique twist to each project. Through our case studies, we share here some of the processes behind our creative services. 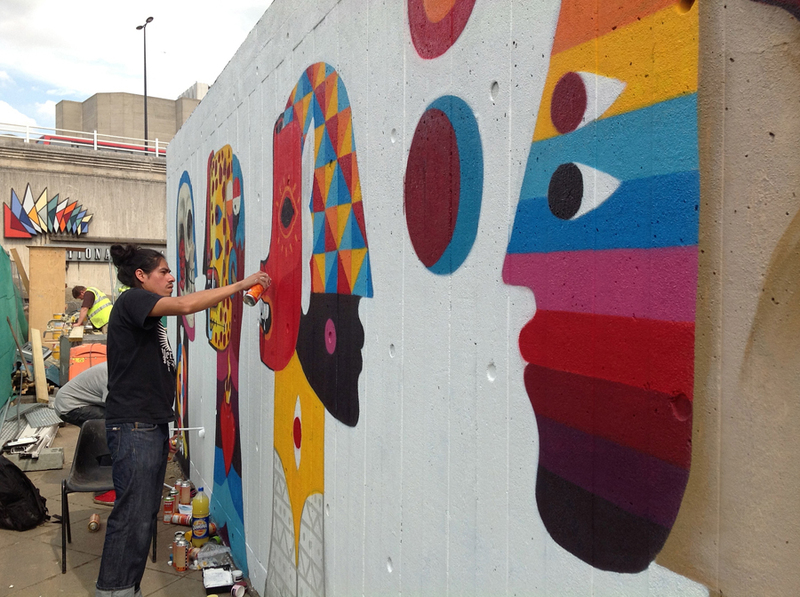 In 2012, we began a partnership with Wahaca restaurants to curate and facilitate their mural arts programme and pop-up events such as the Day of the Dead festival. From day one it has been a pleasure to work with a client who shares the same passions for art and innovation. Our first job was to getting to know our client. Wahaca celebrates Mexican culture but at same time is interested in sourcing local food and supporting local companies. In this way, the overall ethos is about sustainability as well as cultural exchange. 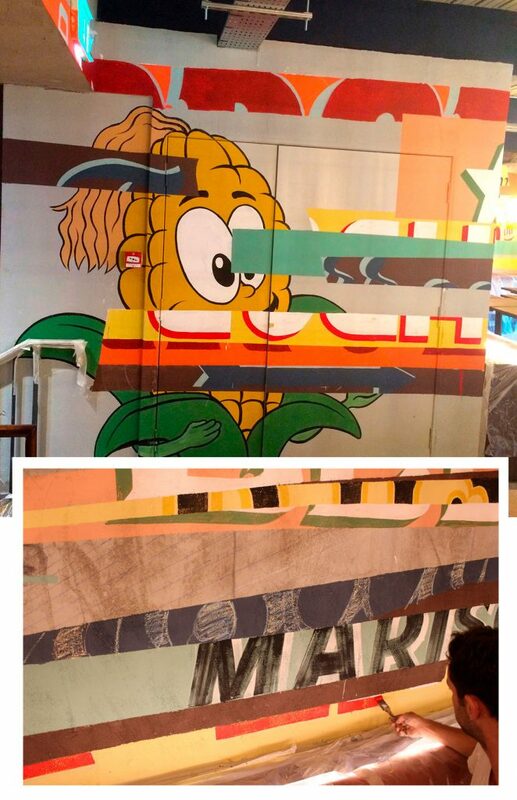 Inspired by Mexican Street Food and street graphics, Wahaca were keen to work with Street artists to customise each space, giving each site a personal feel. What we could offer was our knowledge and experience of Worldwide Street Art, from the perspective of the range of books authored by director Tristan Manco, published by Thames and Hudson. While researching books Tristan Manco had met many artists in person across Mexico. In 2009 and 2010 he contributed to the curation of exhibitions of Mexican street art in London, including the Fiesta Resistance at Pictures on Walls. These activities created close relationships, enabling us make personal recommendations based on experience. Each Wahaca project poses its own challenges. To begin with Wahaca’s architects Softroom brief us on the look and feel of each site, including colour schemes, textiles and materials. Based on the brief we suggest a selection artists whose art may work well in context. The next stage is the production, our role here is a practical one, organising travel, accommodation and materials, following safety regulations and providing a scheme of works. 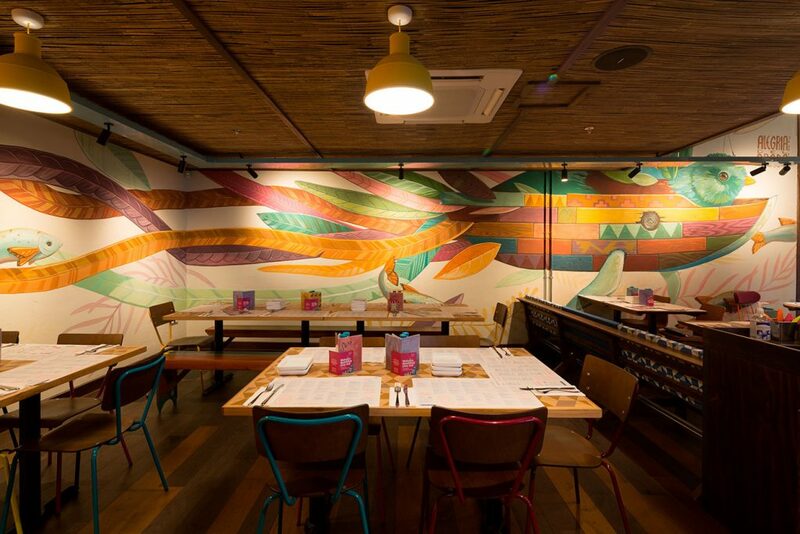 Wahaca operates a sustainability policy which we adhere to with our use of eco-housepaints. 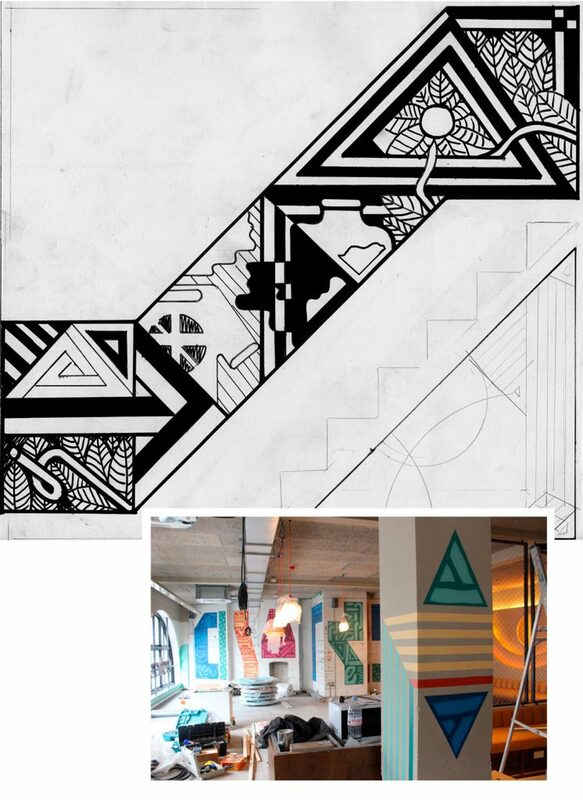 From sketch to the final mural our role is make the whole job run smoothly to put both the client and artists at ease to create their best work. The proudest moment is seeing the artworks being appreciated everyday. For further viewing check out Wahaca TV. 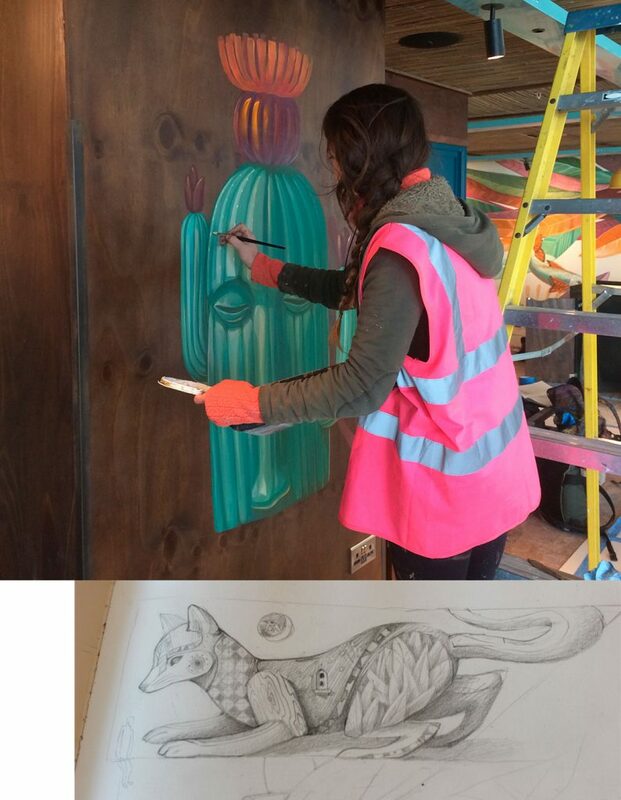 For many of the sites we have worked on, Wahaca commissioned interviews with the artists to discover the back-story of their art and artworks.